Web developers that need a quick deployment option often rely on the Bootstrap framework to build around. Originally dubbed as the “Twitter Blueprint”, Bootstrap has since become available to the public as a free and open source option for developers to tap into. The team that created Bootstrap initially wanted to build a front-end framework that has tools pre-installed that provide consistency both during the development and launch phases. The first Bootstrap version was released in late 2011, and within roughly 4 years the project has gained massive adoptions by web developers worldwide—and for good reasons. All developers need to do to get started with Bootstrap is configure and download the necessary files (CSS, etc.) and link it to the necessary project files. As we already mentioned, Bootstrap is a front-end framework that has popular CSS preprocessors (Less and Sass) built-in in addition to a slew of HTML and jQuery options to make sites interactive. That said, Bootstrap builder speeds up the development process as more and more developers and designers are adding their own touches via addons and themes. The framework itself puts heavy emphasis on responsive design, and that means designers dedicate a fair amount of time creating mobile themes for Bootstrap. Of course the best part about all this Bootstrap hubbub is that there are many quality free mobile Bootstrap themes. 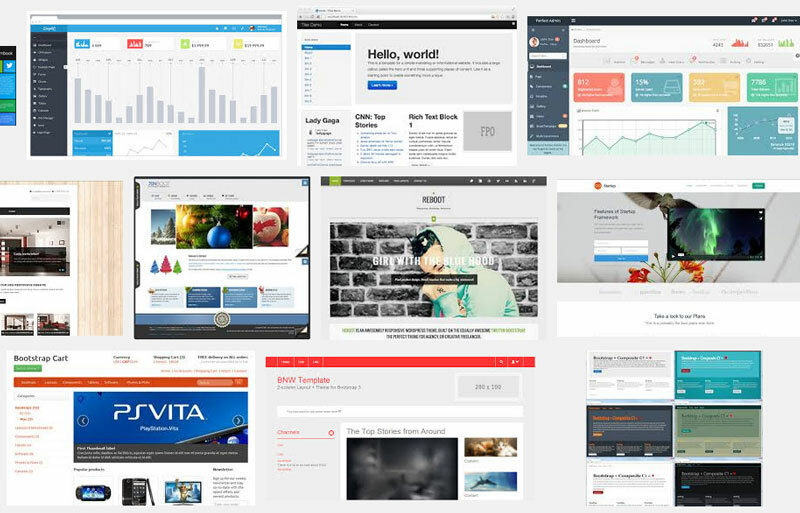 Any developers that want to get things rolling—especially in regards to creating a responsive website—can grab a free theme from multiple sources. Premium Bootstrap mobile themes aren’t a bad idea either as they’re fairly inexpensive, and they come with tons of features and documentations to help inject life into any projects.